Michael Brown specializes in defending insurance companies and/or their insureds. His practice includes medical malpractice, construction site accidents, General Liability, toxic torts, Product Liability, and coverage. Mr. Brown previously served as Assistant Corporate Counsel in the General Litigation Division of the New York City Law Department. In this position, he defended the City in a wide range of claims involving federal civil rights, employment discrimination, §1983 actions, Title VII and Workers’ Compensation. Mr. Brown gives seminars to clients on topics that focus on construction site accidents, Labor Law violations, contractual indemnification, lead paint and related coverage matters. He has also lectured before the Excess/Surplus Lines Claims Association and The New York Insurance Association. Outside the firm, Mr. Brown is very involved in the community. 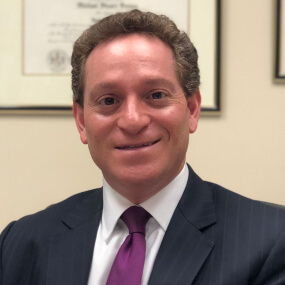 He served as a member of the Board of Trustees of the Village of Rye Brook and sat as a member of the Board of Commissioners for the Village of Rye Brook Police Department. He currently coaches soccer, bicycles and plays tennis and hockey. We welcome the opportunity to serve your business needs and develop a mutual, long lasting relationship as we have with our many clients over the years. Nicoletti Gonson Spinner is a full service insurance litigation law firm that has been providing exceptional legal services for over 15 years.